Royal palm trees are known for their grace & beauty need plenty of sunlight, well-drained soil and regular watering. As long as you give them the right start at first planting, however, they are very easy to grow. 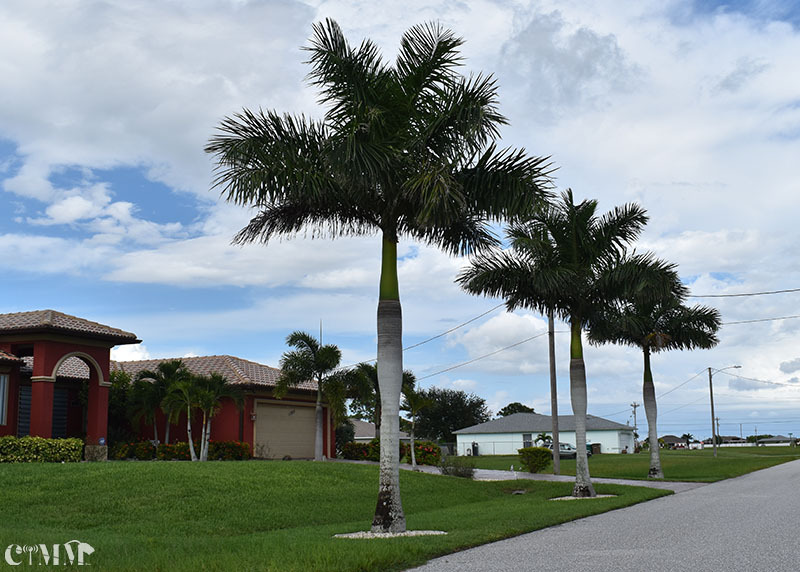 Choosing the right location and providing enough water in the first few weeks are the biggest challenges in growing royal palm trees. Royal palm trees, known for their grace, beauty and towering height, are not difficult to grow, but can only be grown in areas where the temperature does not regularly drop below 28 degrees Fahrenheit. They need plenty of sunlight, well-drained soil and regular watering. As long as you give them the right start at first planting, however, they are very easy to grow. Choosing the right location and providing enough water in the first few weeks are the biggest challenges in growing royal palm trees. Search for a sunny location for your palm tree. The site should receive direct sunlight during most of the day. Royal palm trees will not grow well in shady areas. Royal palm trees can reach a height of up to 100 feet, and need a clear path for growing upward. Dig a hole using the width and depth you determined in Steps 3 and 4. Mix a slow-release palm tree fertilizer into the dirt you removed from the hole. Mix sand into the soil and fertilizer mixture, using about the same amount of sand as soil. This is to improve drainage. If the location where you are planting your royal palm tree is sandy, or the soil is well-drained, you can skip this step. Place about one inch of the soil, sand and fertilizer mixture in the hole. Plant the royal palm tree in the center of the hole, filling the hole with the soil, sand and fertilizer mixture, and packing it down well. Fertilize your royal palm tree every three months using a slow-release palm tree fertilizer. It is better to under-fertilize your palm tree than to over-fertilize it.